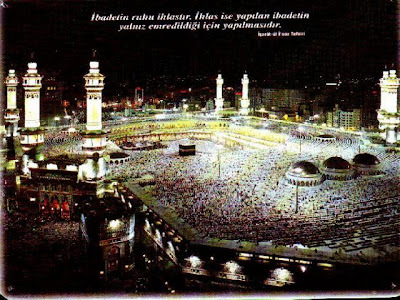 PROPHET MUHAMMAD (PBUH) - GÜLEFENDİM - [ EN SEVGİLİYE ] İman, Hakikat ve Huzur Yolu..! There is no one person in the history of mankind whose life story has been recorded in such great detail as Prophet Muhammad (pbuh). The biography of Prophet Muhammad, canonized as the tradition of sirah in Islamic culture, tells of an exceptional life, from his birth to his demise, that determined the turning points of Islamic history, as well as universal history. The true understanding of this period, one which directly affects the Islamic communities formed in different cultures over the centuries, is essential in understanding the essence of his universal message. The personal and prophetic characteristics of Prophet Muhammad, who was sent as a blessing for the entire universe, should be evaluated according to the conditions of his time; on the other hand, his message, which transcends time, should be clearly understood. Within the framework of Islam his life presents us with an exemplary and harmonic diversity, with productivity, fluency and practicality, all in accordance with different life styles and conditions. His was a life full of commendable morals, pleasant traditions, noble and warm feelings, and distinguished virtues.